ForeFlight 4.4 and Documents Lands in App Store! ForeFlight Mobile 4.4 has landed in App Store. The theme for this release? Our goals when we set out to add Documents support to ForeFlight Mobile included integrating a rich reference library with everything from chart legends to complete regional A/FD documents; simplifying the steps required to find and load important aviation documents into the app; providing a robust document viewer that allows pilots to quickly switch between Documents and other ForeFlight functions without changing apps; providing many ways to import documents into ForeFlight Mobile; and simplifying document management and distribution for both small and large flight departments. Basically, we want to make sure you have everything you need when you fly with the iPad: reference materials, aircraft manuals, regulatory documents, and all the flying handbooks you can tolerate. 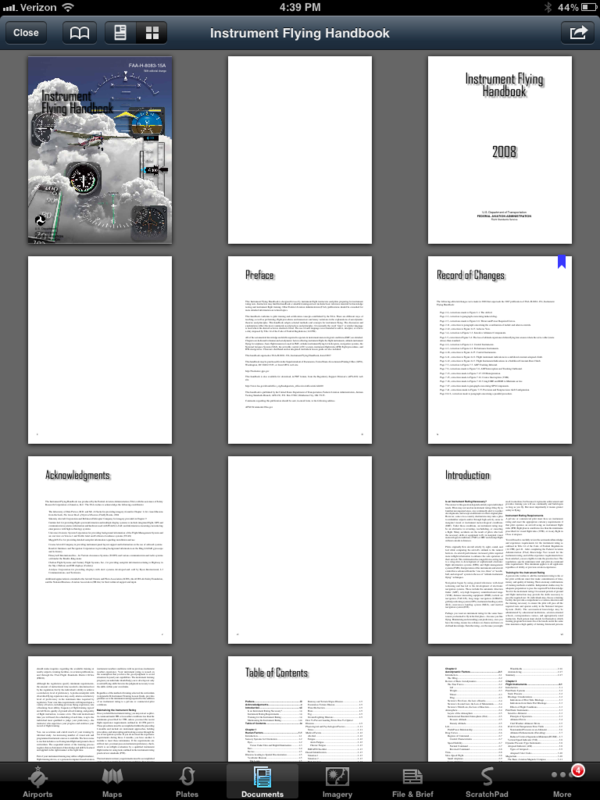 We designed Documents to take advantage of the large iPad screen, and it currently requires the iPad version of ForeFlight Mobile. Tapping on map markers on iPad reveals more information about the airport, reducing the need to toggle between the map and the airports page in order to access frequency, FBO, weather, and terminal procedure information. Larger popovers for PIREPs so that long PIREP text is not clipped. Improved “disambiguation” for route strings. In the event that multiple things are named “TED”, ForeFlight Mobile will ask you which you meant. 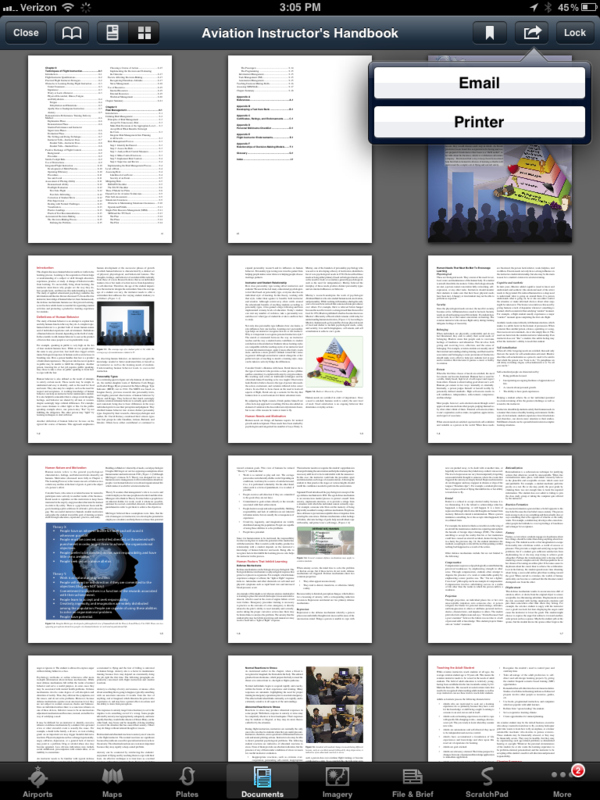 In order to make room for Documents on the iPad, we moved Downloads to the ‘More’ view. You’ll still see a red number when it is time to download new updates – just in a new place. 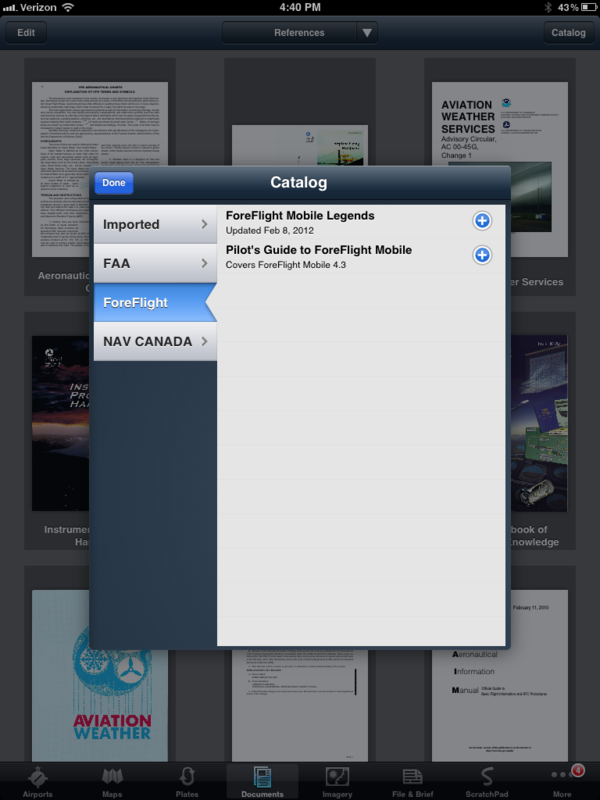 The first time you launch ForeFlight Mobile 4.4 on the iPad, you will see a new Documents tab. Tapping that, you may notice that the Documents view looks strikingly similar to the Plates organizer. We wanted the experience of managing and organizing your aviation documents to be instantly familiar, and modeling the Documents system after our Plates binder achieves this. Add documents to the default binder, organize documents in an arrangement that meets your needs, add documents to binders created for a particular tail number, and organize documents around your flight training objectives. 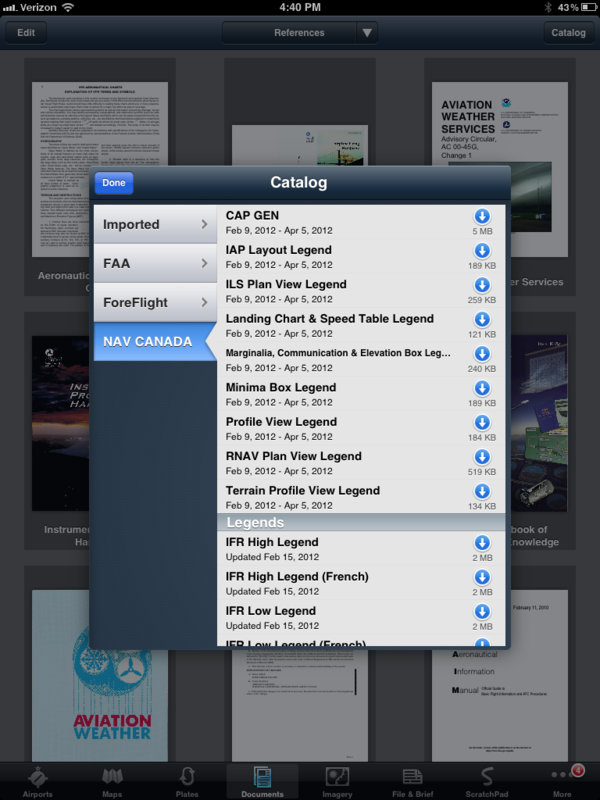 The Catalog view lets you add documents to your binder from the FAA, NAV CANADA, or ForeFlight catalogs. 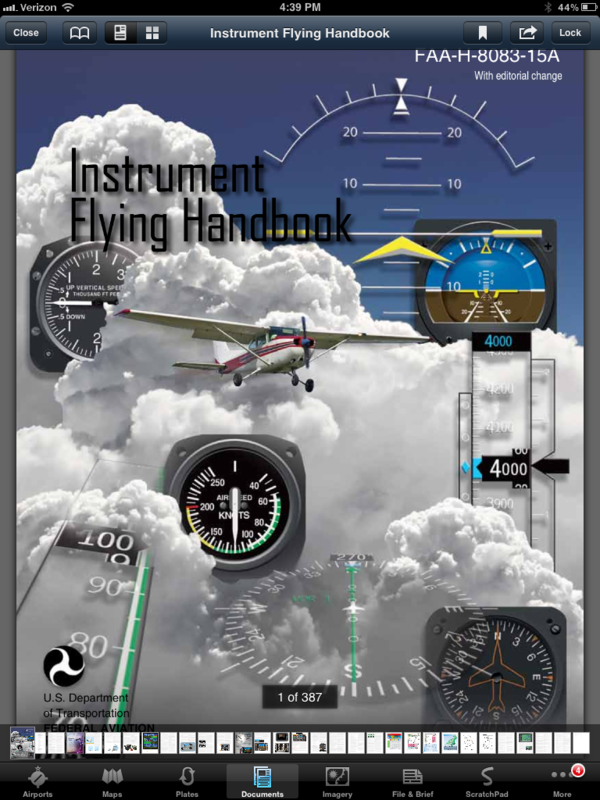 Handbooks, chart legends, terminal procedure references … all included, all free to existing ForeFlight customers. You can also download the latest version of our user manual – the Pilot’s Guide for ForeFlight Mobile. When viewing a document inside apps like Safari, Mail, or Dropbox, tap Open In… from the list of commands, and then tap ForeFlight. This will launch ForeFlight Mobile, add the document to the end of your current binder, and open the document for viewing. ForeFlight Mobile’s integrated Documents viewer supports PDF, TIFF, PNG, JPG, and GIF file formats. That means you could add, for example, a POH as a PDF as well as a scanned (TIFF) checklist you might have hanging around. 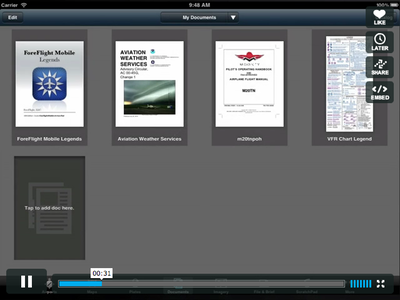 The new Documents system is integrated tightly into ForeFlight’s robust download management system. Document currency is tracked just like aviation databases, instrument procedures, and charts, so ForeFlight will ensure you always have the latest version of any document we make available via the Catalogs. 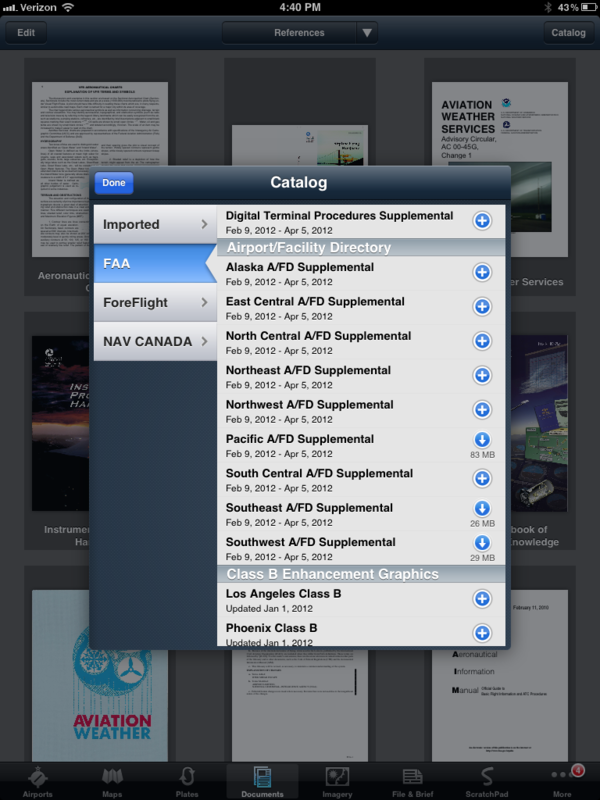 If a new version of a documents comes available – for example, the 2013 AIM – ForeFlight Mobile will display a numbered badge on the application icon, the More tab, and on the Downloads view. The next time you set time aside to update your databases, ForeFlight will deliver the newest editions of the documents. The new Documents system instantly adds value to your current ForeFlight subscription by including catalogs with a rich selection of ForeFlight curated documents to select from. Purchasing these documents separately, you would quickly spend more than the cost of a ForeFlight Mobile subscription. Legends! IFR, VFR, and TAC Chart Legends! 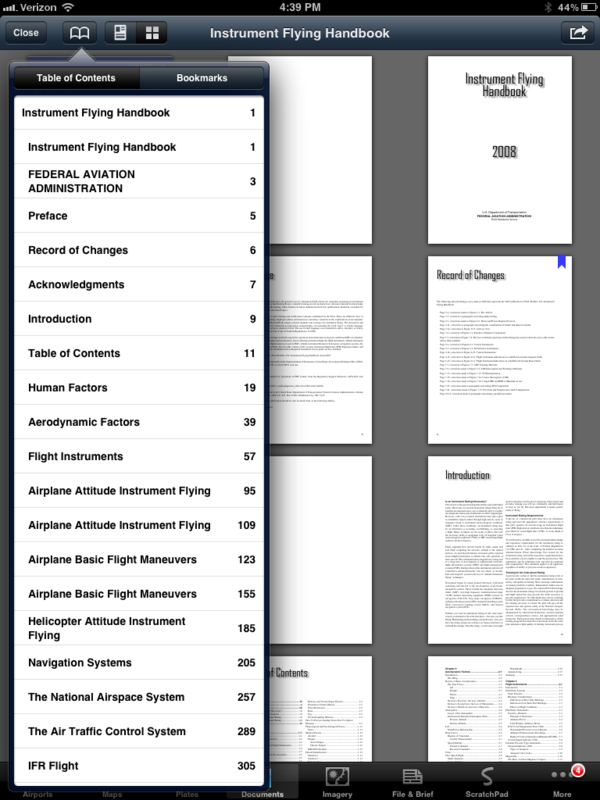 If you’d like to see a document added to the ForeFlight Catalog, please email team@foreflight.com with suggestions. Want to simplify document distribution and control for your flight department? 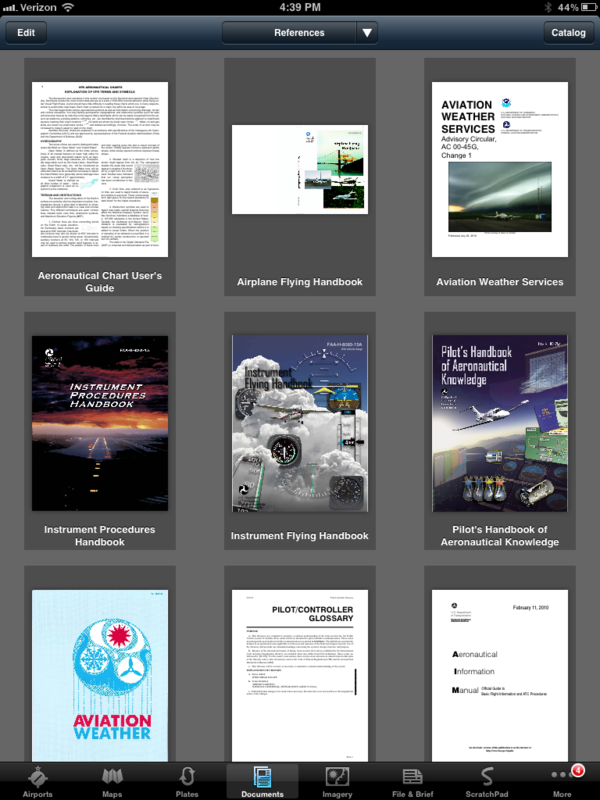 Email team@foreflight.com to discuss distributing flight department manuals and pubs to pilots. Would you like ForeFlight customers to have direct access to aircraft or part OEM documentation? Contact team@foreflight.com to discuss distributing OEM documents to ForeFlight pilots.